"He who sings scares away his woes," said Cervantes. Over 400 years later and science is now confirming what many people have always instinctively known - that as well as making us feel good, singing offers a multitude of physical and emotional health benefits. The most recent research comes from the University of Gothenburg, Sweden. Scientists discovered that group singing, such as in a choir, has a synchronising effect on people’s heart rates. The whole group, in effect, takes on one heartbeat and this smoothes out heart rate variability which is thought to predict heart disease. According to lead researcher Dr Björn Vickhoff, “it gives you pretty much the same effect as yoga breathing. It helps you relax, and there are indications that it does provide a heart benefit’. As well as providing cardiovascular benefits, singing is also known to help many other physical and emotional conditions. For example, the deep breathing is known to help people suffering from lung disease and asthma. Following the discoveries of singing’s many benefits, there are many choirs set up specifically to help health conditions. These include choirs for physical conditions like Chronic Obstructive Pulmonary Disease (COPD), Parkinson’s, asthma and chronic pain, brain conditions like Alzheimer’s, and mental health problems like depression, low-self esteem, stress and anxiety. Collective singing is nothing new. People have been singing together for thousands of years, simply because it feels good. There is no human culture which doesn’t sing and we start to experience the pleasure of making vocal noises as soon as we are born. We instinctively love to make sounds with our vocal chords. Even the most microphone-shy of us are often drawn to stand up and sing karaoke after a few drinks have loosened inhibitions. When we belt out a tune we can really express ourselves, whether we sing in tune or not! In fact, studies show that regardless of whether you sing professionally or just for your own enjoyment similar benefits are reaped. This is particularly true for those who experience emotional benefits from singing, such as stress relief. The simple fact that we enjoy singing can explain why it’s so good for us. Science increasingly recognizes that how we feel is inextricably linked to our health. This is why the NHS are happy to fund so many choirs for their patients and are considering “singing on prescription”. 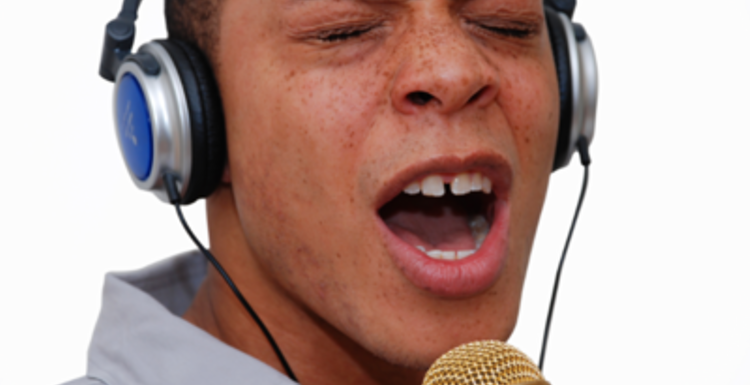 Singing triggers chemical releases which gives us that endorphin rush. Swedish research published in 2011 showed that as well as boosting oxygen levels, singing also stimulates the release of oxytocin, the ‘feel-good’ hormone. With all those lovely chemicals floating around our system it’s not surprising our stress levels go down and feelings of depression are lifted. As well as making us feel great, group singing has several other effects which are recognized as being crucial to our well-being. For example, taking part in a choir, band, or orchestra can increase our feeling of connection with other people and our sense of being part of a community. It bonds people to each other, and this can be evidenced when you look at music festivals and football match chants. Even the military such as the Russian army recognize the benefits of singing and use it to unite their marching troops, while the toil of South American chain gangs was eased by the groups singing in unison as they worked. Our self-esteem is lifted as we feel part of something bigger than our own concerns, and as we get to know fellow singers we often find friendship and support so crucial to our emotional health. Singing used to be much more part of daily life. Imagine families singing around the piano, school assembly songs and communities singing together in pubs. The benefits were drip fed to us from a young age and became a normal part of our everyday lives. The habit of group singing has rapidly lessened over the years and we’re now only just realising what a wonderful human habit it is. Happily, the fashion and passion for singing seems to be rapidly returning. Thanks to choir programmes with Gareth Malone and Sing The Nation, we are all more interested in experiencing the positive health benefits, group bonding and sheer enjoyment factor that singing brings us. Community choirs are popping up all over the country and in quite different forms from the traditional choirs of years gone by. Among others, we have gay-only choirs, men-only choirs, children’s choirs, beginners choirs and natural voice choirs, as well as voice workshops and chanting groups.. This is before we’ve even started on the choirs for your health! It seems like the human passion for singing is definitely here to stay, and the best thing is that it’s completely free and accessible for everyone. So whether you sing in the shower or at the London Palladium, remember the positive health benefits of singing really are yours for a song.